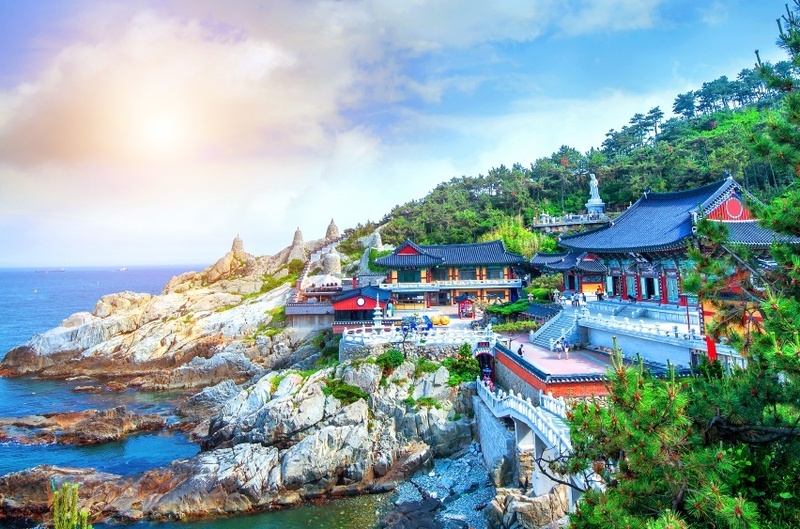 Offering bustling cities and an eye-catching landscape of mountains, beaches, and forests, South Korea provides more than enough to keep any discerning traveler coming back for more. Go in for a close look and you’ll find a network of temples, palaces, and more seamlessly blended with the modern face of the country. We’ll take a look at where to travel in South Korea, how to get around, when to go, and how much it’s likely to cost you. 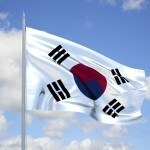 Want to learn more about South Korea? To get around the country, you generally have the option to choose between the train and bus (trains are faster but more expensive). Overall though, both are safe and reliable options. In some places, such as Seoraksan National Park, you can consider renting a car however the roads aren’t always the safest. Like many countries, springtime often affords the perfect mix between great weather and slightly lessened crowds. Fall is also a great option thanks to spectacular changing leaves and generally good weather and crowds. Summer can be very hot and muggy so it’s often best avoided. Winter on the other hand, while long and cold, does offer some great scenery and skiing options. For many, the first and only stop on a South Korean getaway is Seoul – the capital, largest city, and centre of life in the country. The city combines an incredible mix of both ancient, traditional sights with the cutting edge and ultra-modern. 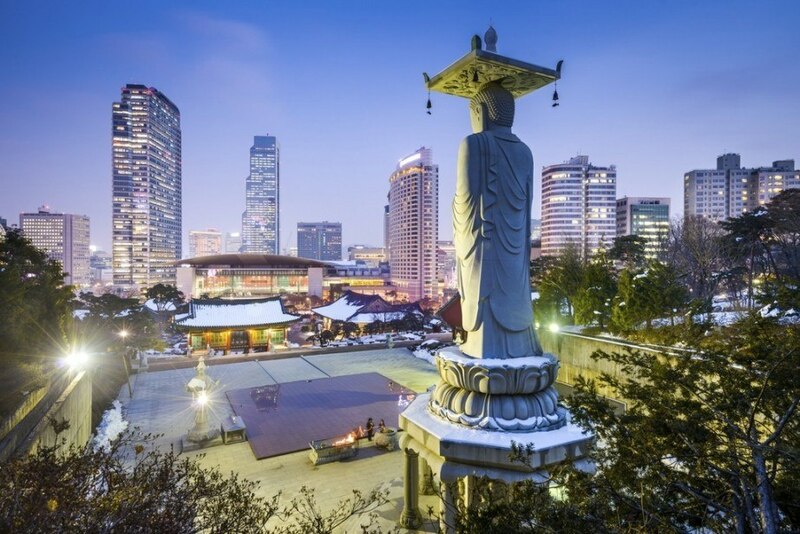 Ancient shrines and palaces are found throughout the cityscape, serving as some of the top tourist spots in Seoul. 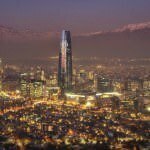 The bustling streets are densely populated and can be a bit overwhelming, but the sheer amount of entertainment and cuisine options make this easy to forgive. It might take a bit to get your head around, but once you do you’ll be able to find something to do anytime of the day or night. Once all is said and done, climb up one of the many mountain trails for a view you won’t soon forget. 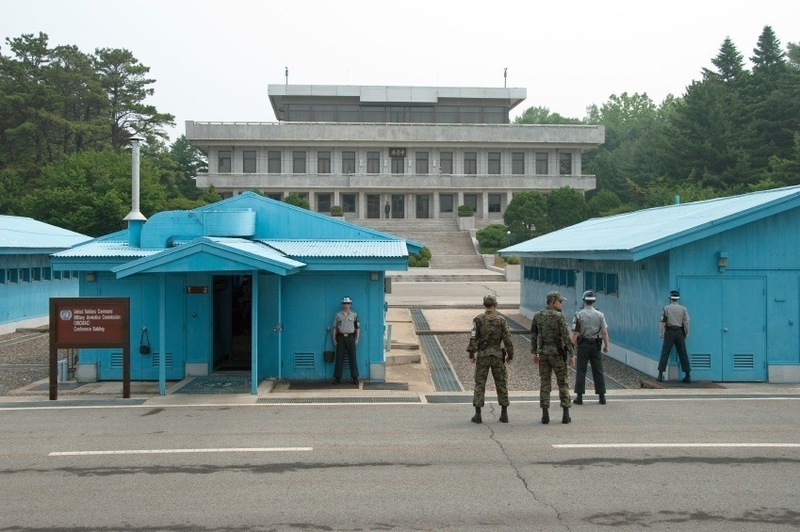 Just a short day trip from Seoul, the DMZ (Korean Demilitarized Zone) is one of the most unique experiences you can get in South Korea. This strip of land running along the border between North and South remains one of the world’s most recognizable geopolitical flashpoints and the closest thing remaining in our world to the Berlin Wall. You have to join a tour to see it (be sure to do your research before booking), but it’s absolutely worth it. With North Korean, South Korean, and American troops on constant alert it sure is a tense atmosphere. See the tunnels that the North tried to use to sneak south or simply peer across the border into another world. The second largest city in South Korea is a completely different animal compared to Seoul. Located along the coast, Busan is renowned as the home of the Peninsula’s largest and best beaches – especially Haeundae Beach. You can expect the main beaches to be packed, but the amount of options ensure a quieter experience is possible. With bars, restaurants (especially seafood), and a nightclub scene second only to the capital, Busan has truly come into its own and serves as a worthy alternative to the sometimes overwhelming Seoul. If you’re looking for something a little bit different, the city of Daegu could be worth a spot on your itinerary. 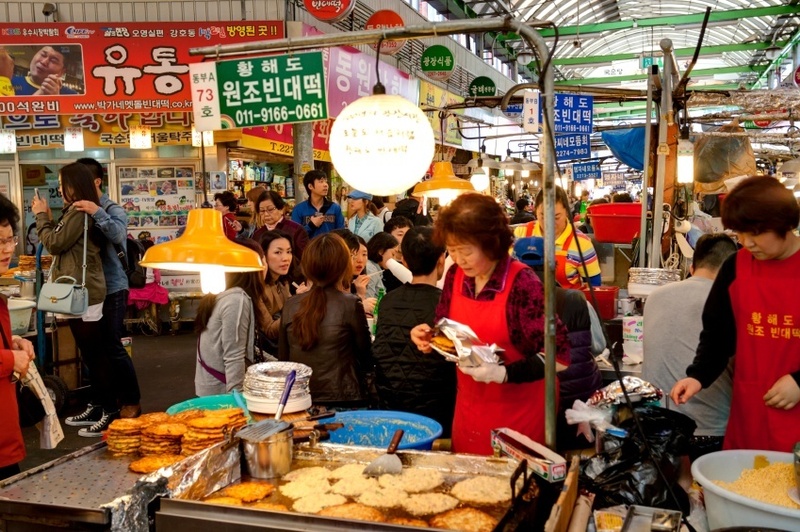 The city includes a healthy amount of cuisine options and examples of Korean culture (including a traditional-medicine market). 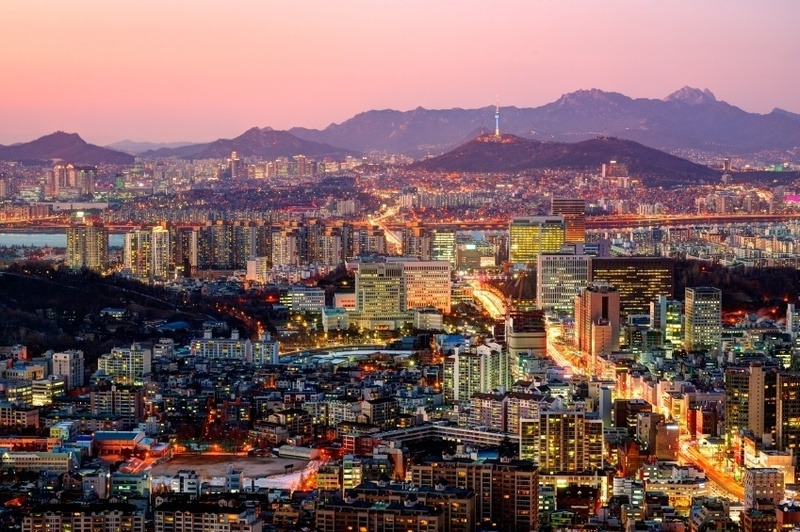 There’s an international flavour to South Korea’s fourth largest city, with the university a popular spot for exchange students and English teachers. The large student population lends the city an energetic air, without ever quite reaching the heights of Seoul or Busan. If you’re looking to take a trip back into ancient times, look no further than Gyeongju. More tombs, temples, Buddhist relics, and palaces can be found here than anywhere else in the country. As the capital of Silla (an ancient Korean kingdom that once held sway over the entire Peninsula), there’s nowhere better to look to get a window into a fascinating time in Korean history. While you can expect a healthy dose of tourists, exploring the city is very open-ended. Just grab a map (or even a bike) and set off to see whatever strikes your fancy. One of the most popular vacation spots for native South Koreans, this lush, subtropical island serves as an idyllic retreat to get away from it all. Beaches, resorts, rural villages – you can see vastly different sides of South Korea here, all while basking in the warm glow of the sun and relaxing in the beautiful waters. 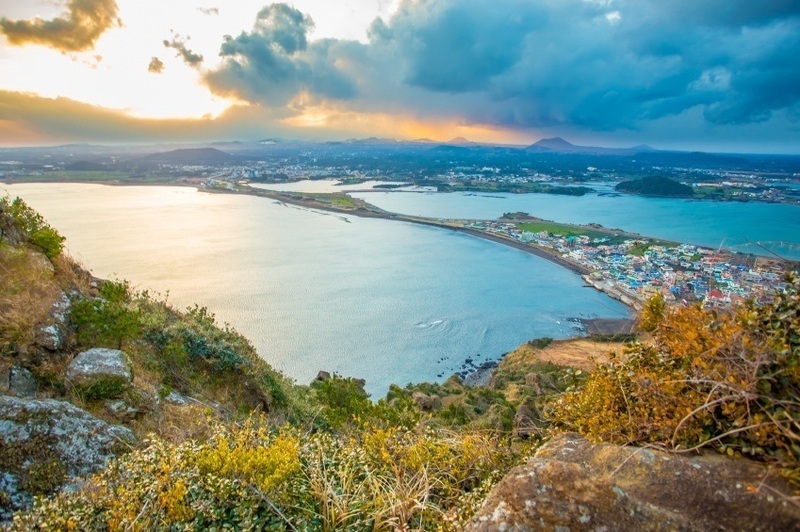 You can think of Jeju as Korea’s answer to Hawaii – and you won’t be disappointed. There’s also quite a lot here for those looking to flex their muscles. Hiking up the country’s highest mountain, Hallasan, is a good trek and one that shouldn’t be overlooked. You can also observe the unique and daring haeneyo – female free divers who plunge into the depths in search of seafood for the island’s many restaurants. 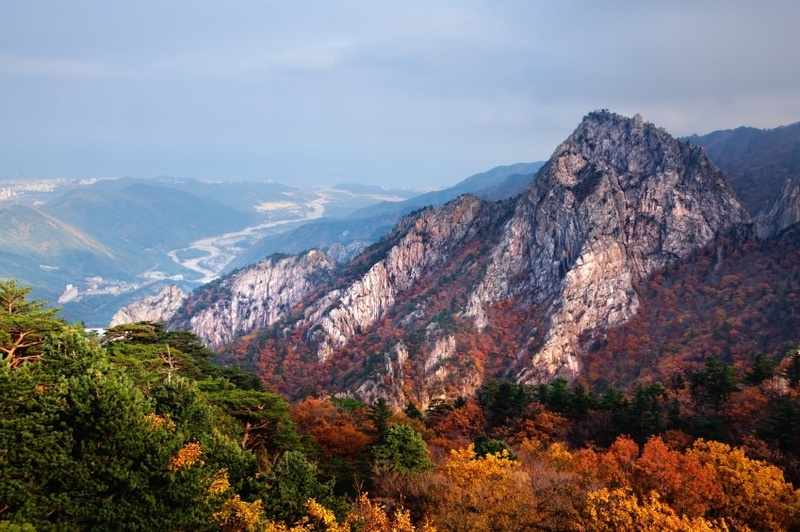 To truly get a taste for the wild side of South Korea, the gorgeous and striking Seoraksan National Park is the place for you. The craggy and steep peaks are an impressive sight while large forests, hot springs, beaches and temples can be found throughout the park. You can also find adventure tourism such as bungee jumping and even luxurious resorts if you do crave a break from the wilds. Still, it’s all about the landscape here and Seoraksan deserves its reputation as the best park in South Korea. Round-trip flights between Pearson and Seoul will generally cost about $1000 Canadian, but keep an eye out for a deal. You have the option of non-stop or connecting flights, so be sure to shop around and find the best possible price. 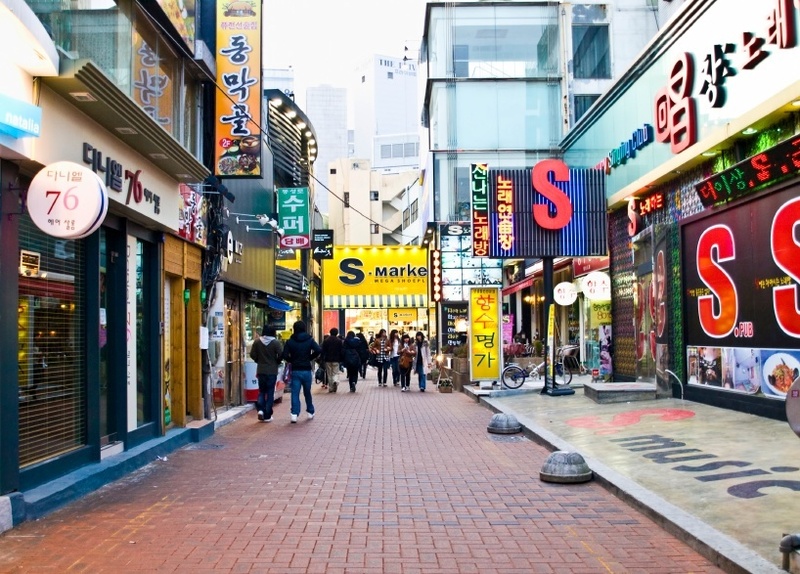 Seoul is a major travel hub, so there should be no trouble finding a number of options. Once you arrive in South Korea, you can expect an average day to cost you about $147 with a budget of $80 for accommodation and $27 for food. 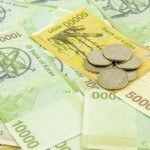 A thrifty traveler could likely get by with closer to $60 a day while really throwing your won (that’s South Korean currency) around will cost you closer to $380 a day. 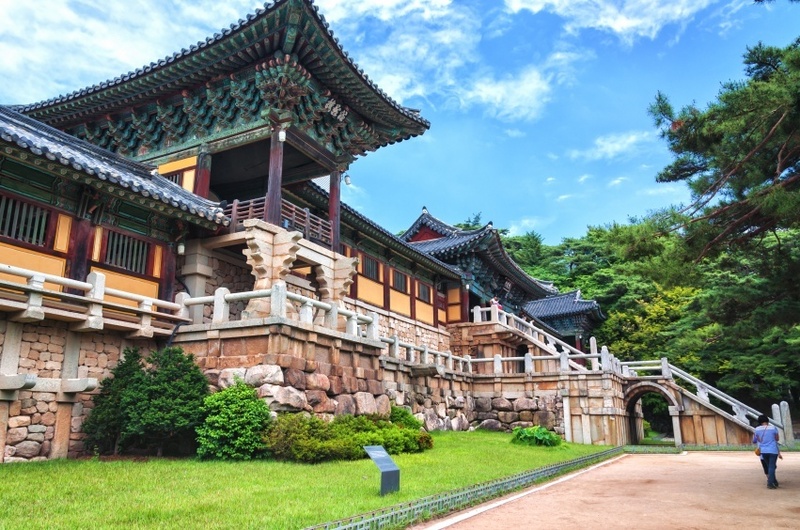 Despite its proximity to a hostile country, South Korea remains a safe and secure place to visit. As such, the Canadian government recommends normal security precautions throughout. That being said, you should still be aware during times of rising tension with North Korea. While the threat of an actual conflict is low, border skirmishes do periodically occur. Crime against visitors is pretty low, however you should still be aware of your surroundings (especially when alone or after dark). While the public transportation system is excellent, road safety isn’t great and the country has a very high accident rate. Overall though, South Korea is one of the safest and most secure countries in the region and a trip there shouldn’t give you any problems. These are just a few examples of where to travel in South Korea, there’s tons more to see and do. If you think somewhere else should be on the list, let us know in the comments. 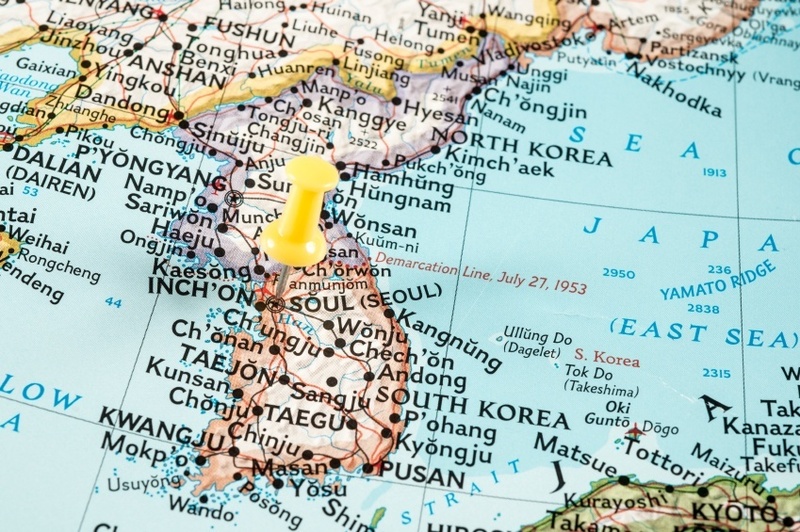 Check out our Country of the Week for more general information about South Korean history and culture, as well as our Currency Spotlight for more on the South Korean won.